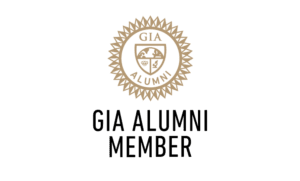 Our GIA, Graduate Gemologist, Christoper, has 20 years experience evaluating jewelry with up to the minute knowledge and price information to assure you will receive the most accurate appraisal. We offer a free verbal appraisals on your item including jewelry and precious gemstones. We are able to provide you with a written appraisal for insurance purposes complete with grading of Color, Cut, Clarity, a plot of your stone and replacement value. The written appraisals are a small fee and worth the security and peace of mind that provides you with the knowledge you need to identify your unique item and value. We use extensive instrumentation for testing including a high power microscope for clarity grading, and graded color master stones for color grading. We plot the main stones and photograph where required. ** It is not necessary to un-mount stones for appraisal purposes. Christoper is a Graduate Gemologist from (GIA) in New York City. He received his Bachelors Degree in Business Management and has 20 years experience evaluating jewelry and pawnbroking in New York City’s famous Diamond District. Nora has a Bachelors Degree in Business Management. With a passion for jewelry Nora graduated from (GIA) Gemological Institute of America in New York City with a degree in Jewelry Design, Diamond Essentials and Colored Stone Essentials as well as a Certificates from The American Numismatics Association on coins counterfeit detection. Payton has over 6 years retail sales experience and has completed and achieved excellence in customer service training courses. Payton has graduated from (GIA) Gemological Institute of America with Diamond Essentials. Prestige Pawn & Jewelry provides daily auctions and online sales, support, and inquires worldwide. Questions or concerns? Send us a quick message and we will reply as soon as we can. Contact us here..
Find new and pre-owned brand name merchandise at our Ebay Store now.